It seems you’ve covered all your bases: You did your research, made an appointment at Walker Orthodontics, and even began your treatment! But there is still one thing left to do. It is time to learn how to properly care for your braces. Many times, this step is overlooked. However, it is one of the most important skills to have, as your treatment will be far more hygienic, effective, and enjoyable if you are taking the time to care for your braces the right way. 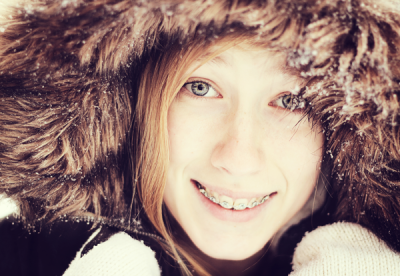 Here are a few tips on how to best how to maintain your braces near Littleton. Brush brush brush. And brush. And then brush some more. Yes, it may seem excessive. However braces create many small spaces where food can easily get lodged. Should food buildup not be brushed away, plaque will form and lead to tooth decay as well as many other serious health problems. Dr. John Walker and Dr. Liz Walker recommends that patients near Littleton brush after each meal, as well as right before bed and after snacks if need be. This will ensure that there is no food left behind to create problems. Be wary of diet. Many foods can be detrimental to braces structure. Gum, caramels, and other sticky foods should be avoided at all costs. Extremely hard or crunchy foods can be problematic as well. Of course, no one wants to cut out the foods they love during treatment. But eating these foods can lead to broken wires or brackets that will hurt your mouth or even extended treatment time. Contact Walker Orthodontics to learn more about the foods you should avoid. Don’t forget to floss. Flossing is extremely important to oral health because it eliminates gum diseases and cavities. Yet because it becomes more difficult with braces, many people skip this step. Walker Orthodontics wants to remind patients near Littleton not to forget to floss. Thread the floss under the main wire of the braces, and then proceed as you normally would, making sure to clean every spot. Floss is less likely to get stuck if it is waxed, so look for a waxed brand. Watch out for over whitening. Many types of toothpaste nowadays contain whitening agents. While everyone wants a pearly white smile, those with braces should be careful of just how much whitening you do while undergoing orthodontic treatment. Brackets take up a significant amount of space on the tooth, and whitening treatments usually cannot get under this area. Therefore, when the braces come off, you may find a section of your tooth to be discolored if you have accidentally whitened only the area around where the brackets were. To be safe, avoid whitening during treatment. Keep in mind that the same goes for stains. Coffee, red wine, and other foods may stain the tooth in only the exposed area. Be wary of your teeth’s coloring. Contact Dr. John Walker and Dr. Liz Walker and the team at WalkerOrthodontics! Should you encounter any issues, breakages, or simple any questions, do not hesitate to contact Walker Orthodontics near Littleton. Letting problems go unsolved can be harmful to oral health and can extend treatment times. Visit online or call our office at 281-589-6100 immediately!